Does Alcohol Increase or Lower Blood Pressure? Blood pressure is a reading used to determine the amount of force placed on artery walls during blood circulation. A range of factors can contribute to an unhealthy increase in this force, including excessive alcohol consumption. The relationship between alcohol and high blood pressure (also known as hypertension) is well-documented. 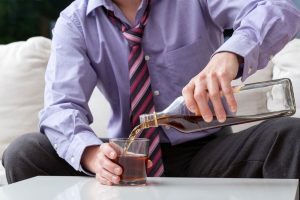 Risks for the condition appear in people who participate in binge drinking, as well as in chronic heavy drinkers with diagnosable symptoms of alcoholism. In turn, anyone diagnosed with hypertension has heightened odds of developing some life-threatening health conditions. 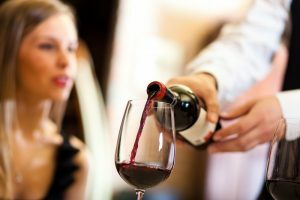 Is There a Connection Between Alcohol and Blood Pressure Issues? Does Alcohol Lower the Pressure? If you or your loved one are affected by the combination of hypertension and drinking problems, you can reduce your risks for major complications by taking part in alcohol treatment. For more information on how to proceed, call (888)-459-5511 today. The force of blood circulation puts pressure on the body’s arteries at all times. Force generated while the heart actively beats is known as systolic pressure. Force generated while the heart rests between each beat is known as diastolic pressure. Doctors combine these two readings into a single measurement that resembles a fraction. The systolic reading forms the top half of the fraction, while the diastolic reading forms the bottom half. The National Heart, Lung and Blood Institute notes that healthy adults typically have a maximum combined measurement of 120/80 mmHg (millimeters of mercury). Systolic and diastolic readings that exceed this threshold may indicate the presence of hypertension or a precursor condition called prehypertension. Excessive alcohol intake has a wide-ranging adverse effect on the cardiovascular system. This system includes the heart itself. It also contains the arteries that carry oxygen-rich blood to the body and the veins that carry oxygen-depleted blood to the lungs for replenishment. Current evidence indicates that drinking has a direct impact on hypertension risks. However, scientists cannot fully explain the effects of alcohol on blood pressure. 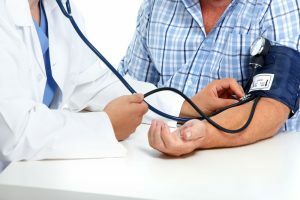 The National Institute on Alcohol Abuse and Alcoholism points to two possible causes for the connection between drinking and hypertension. First, the presence of alcohol may lead to the release of “fight-or-flight” hormones that make the body’s blood vessels narrow or constrict. Alternatively, the presence of alcohol may overstimulate the tiny muscles that line blood vessel walls and help maintain normal circulation. As noted, anyone who participates in binge drinking can experience a significant increase in the amount of force placed on their arteries by blood circulation. In the U.S., the practice of alcohol binging has a precise definition. It occurs whenever a person consumes enough alcohol to reach a legal state of intoxication in a maximum of two hours. The federal Centers for Disease Control and Prevention report that more than 15 percent of all American adults binge drink at least once a week (i.e., four times per month). More than nine in 10 heavy drinkers take part in this practice and thereby increase their chances of developing clinical alcoholism. People with limited involvement in binge drinking tend to experience only temporary symptoms of hypertension. When their blood alcohol levels fall back to normal, the heightened force placed on their arteries will dissipate, and their systolic and diastolic readings will return to normal. However, the situation can change in people who establish an ongoing pattern of alcohol binging. In such circumstances, a once-temporary spike in pressure levels can turn into an ongoing case of prehypertension or hypertension. Since alcohol consumption remains high in people affected by alcoholism, hypertension usually becomes the norm once it begins. The underlying cause of portal hypertension in most chronic heavy drinkers is an advanced form of liver disease called cirrhosis. This condition occurs when scar tissue begins to replace the liver’s healthy cells. It typically appears after a decade or more of severe alcohol abuse. Besides, high-pressure levels in the blood vessels associated with the kidneys can lead to something called chronic kidney disease (CKD). Kidneys affected by CKD can no longer fulfill their task of cleansing toxins and excess fluids from the bloodstream. Over time, a worsening of this condition can lead to the onset of outright kidney failure. Can Alcohol Lower Blood Pressure? Over the years, numerous studies have shown that light-to-moderate alcohol consumption is linked to a reduced risk for heart disease. This fact raises the question of whether alcohol lowers blood pressure in at least some circumstances. The answer is: not to any reliable degree. Researchers report that any potential protective benefit from light or moderate drinking likely comes from reduced levels of circulating “bad” cholesterol, not blood pressure-related changes. Also, for many people, alcohol may not play a significant role at all in lowering the odds for heart disease. Instead, the benefit may come from other lifestyle factors such as dietary alterations and increased involvement in exercise. Recap: How Does Alcohol Affect Blood Pressure? Can alcohol cause high blood pressure? The answer to this question is clearly yes. Heavy drinking can lead to an average pressure increase of five to 10 mmHg. An increase of this size can make all the difference between normal readings and the onset of hypertension. While hypertension is a temporary issue for occasional binge drinkers, it can turn into an ongoing health threat for recurrent alcohol bingers, as well as anyone suffering from the widespread effects of alcoholism. It’s important to note that heavy drinkers who quit “cold turkey” rather than seeking help from qualified professionals can increase their short-term hypertension risks. That’s true because abrupt discontinuation of drinking in an addicted person can lead to severe, temporary spikes in the amount of systolic and diastolic force exerted on the arteries. Another warning focuses on the connection between blood pressure meds and alcohol. Evidence shows that these medications may not provide substantial protective benefits for people affected by alcoholism. Enrollment in an alcohol treatment program can help you or your loved one recover from alcoholism-related hypertension in a safe, monitored environment. Call (888)-459-5511 for more information on available programs in your area. 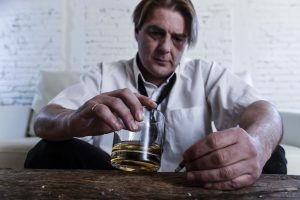 Addiction Resource » Alcoholism: Everything You Need to Know About the Addiction » Alcohol Effects Guide: Exploring the Long- and Short-Term Effects of Alcohol Use » Does Alcohol Increase or Lower Blood Pressure?